Obituary for Domenick Belcastro | Shore Point Funeral Home and Cremation Services, Inc.
Domenick Belcastro, 88, of Belford, New Jersey, passed away peacefully surrounded by his loving family on Thursday, March 28, 2019 at Bayshore Health Care Center in Holmdel. Domenick was born on January 29, 1931 in Brooklyn, New York, where he grew up. On October 20, 1956, Domenick and his wife, Antoinette, were married and began their lives together in Brooklyn, where they raised their family. In 1999, Domenick relocated to Staten Island and ultimately settled in Belford, New Jersey about 3 years ago. Before retirement, Domenick worked as a New York City Fire Fighter for Engine #241 in Bay Ridge Brooklyn for many years. He was also a proud United States Army Veteran. He was predeceased by his parents, Frank and Angelina (Caracciola) Belcastro, his beloved wife, Antoinette (Coiro) Belcastro, and his dear siblings, John Belcastro and Katherine Iacone. 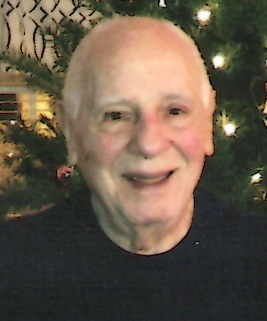 Domenick is survived by his loving children, Frank Belcastro and his wife, Patricia, of San Jose, California, Angela Hull of Middletown, New Jersey, and Theresa Scarcella and her husband, Gary, of Hazlet, New Jersey, his cherished grandchildren, Jennifer Morgan and her husband, Travis, Alyssa Belcastro, Kristin Scarcella, Ann Belcastro, and Anthony Scarcella, his adored great granddaughter, Ava Morgan, and his special nieces and nephews, Concetta, Frank, John, and Lisa. Domenick will be deeply missed, but never forgotten. Family and friends are invited to visit on Sunday, March 31, 2019 from 3:00 to 7:00 PM and Monday morning, April 1, 2019 from 8:15 to 9:00 AM at the Shore Point Funeral Home and Cremation Services, Inc., 3269 State Highway/Route 35 North, Hazlet, New Jersey 07730. A Mass of Christian Burial will be offered on Monday morning, April 1, 2019 at 9:30 AM at Holy Family Roman Catholic Church, 727 Highway 36, Union Beach, New Jersey 07735. Interment will follow at The Cemetery of the Resurrection, Sharrott Avenue, Staten Island, New York 10309. For information, directions, or to send condolences to the family, please visit, www.shorepointfh.com.